Sanasar is the name given to the two small villages of Sana and Sar in Jammu province, Jammu and Kashmir state, India. 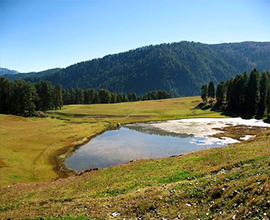 Named after small local lakes, Sana and Sar are located 20 km west of Patnitop, Udhampur district on the national highway 1A. A nearby mountain range is called the Shanta Ridge. The Shank Pal Temple is located at the highest point of the Shank Pal ridge, at an altitude of 2,800 metres, a few hours' walk from Sanasar. The 400-year-old temple is dedicated to Nag Shank Pal. No mortar was used to join the stones of the temple. Shanta Gala is a pass on the Shanta ridge which offers a view of the Panchari valley on the other side of the ridge. The pass leads to the Lander area. 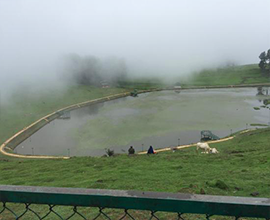 Horse Riding:Sanasar is a wonderful destination for the Horse riding amidst the hilly areas. 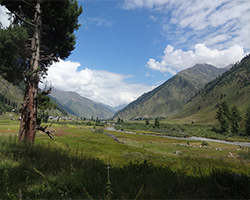 Meadows:Sanasar known for its green alpine meadows, low rolling hills and high peaks. Flowing by the nature:Sanasar is surrounded by coniferous trees and tall imposing Cedars offers an enchanting view and experience of nature in all its glory. 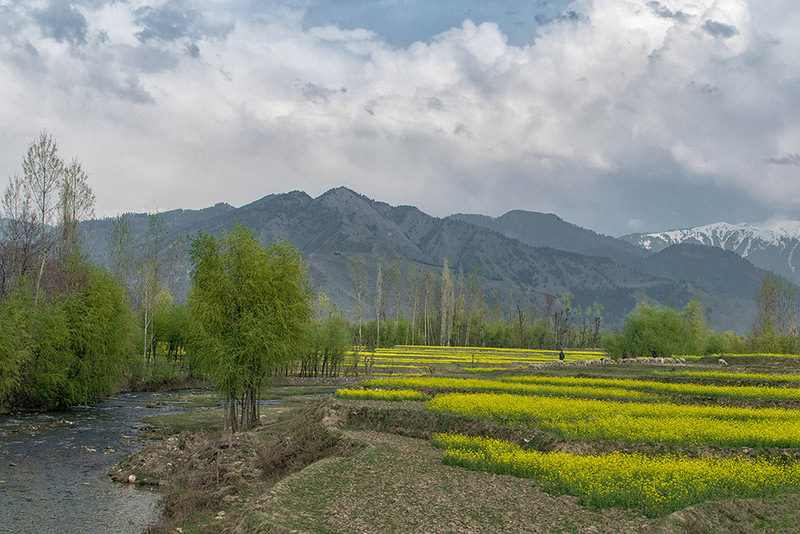 Sanasar is known as a ‘mini Gulmarg’ as it is allowing both Summer and Winter adventurous activities. 119 km from Jammu and only 17 km from Patnitop. 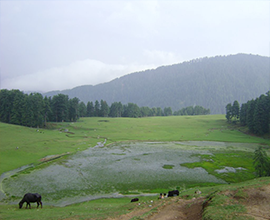 Named after small local lakes, 'Sana' & 'Sar' are located 20 km west of Patnitop.